Edwin H. Friedman, Friedman's Fables, The Guilford Press, 1990. Be careful. You may get hooked on this. My teacher and supervisor. He made a huge difference in my life and the course it took. I can’t say enough. But many would agree that he was a genius, as you will recognize as you enjoy this. 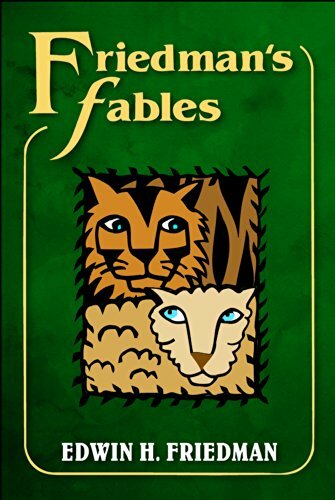 24 short fables that are not only funny but break open our assumptions and actually require us to begin thinking systematically. Everyone resonates to these. Put a copy on your reading table or night stand. Take one fable a day with your morning coffee. You’ll thank me. 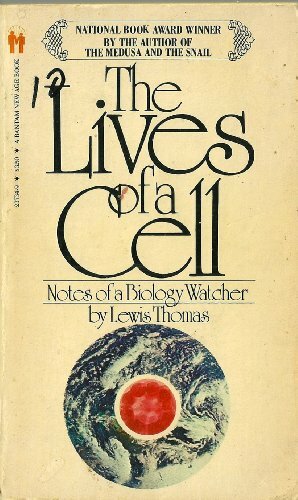 Lewis Thomas, The Lives of a Cell: Notes of a Biology Watcher, Penguin Books, 1978. Don’t let the date fool you. Continuing research continues to reinforce his observations. Even for those conversant in biology, the implications here are apt to blow your mind. Written by a noted scientist for the rest of us. You get a much greater appreciation for the ways of the natural world and how we are deeply embedded in it. If you have any curiosity for what you are a part of, of what makes you tick, you will find it difficult to put this book down once you’ve opened it. 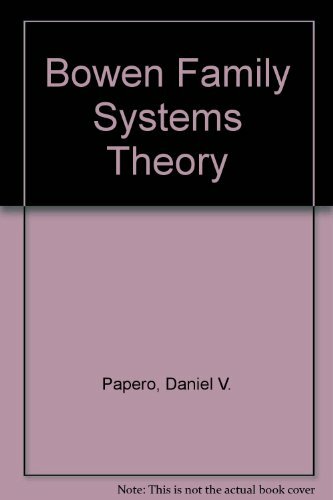 Daniel V. Papero, Bowen Family Systems Theory, Allyn & Bacon, 1990. And excellent introduction to the theory. Begins with an overview of how the theory fits into natural systems theory and presents all 8 basic interlocking concepts of emotional systems thinking. A good place to start for those new to this. Murray Bowen, Family Therapy in Clinical Practice, Jason Aronson, Inc, 1985. A collection of Bowen's lectures, articles, etc. from 1957-1977. Few people have a Theory named for them. So there is no better place to begin exploring Bowen Theory in depth than with the master himself. 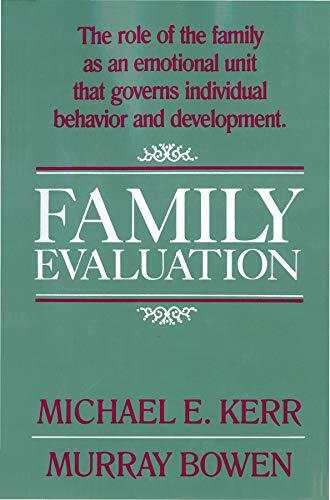 Michael E. Kerr and Murray Bowen, Family Evaluation, W. W. Norton and Co., 1988. Basic presentation of Bowen Theory. An expansive, in depth look at Bowen Theory by Bowen and one of his students. A must for anyone who wants to go deeper. 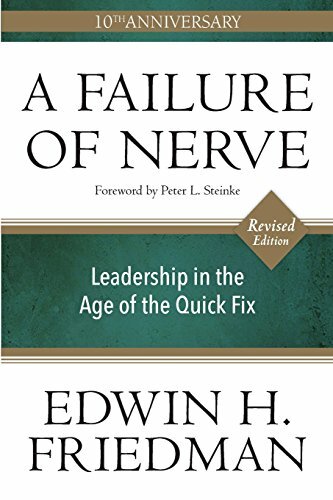 Edwin H. Friedman, Margaret M. Treadwell, Edward Beale, Failure of Nerve: Leadership In the Age of the Quick Fix, Church Publishing, Inc, 2006. Published posthumously, every leader will wish that he/she had this at the beginning. 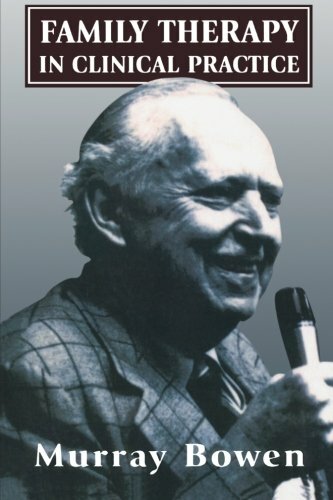 It brings together his application of Bowen Theory to organizations and leadership. 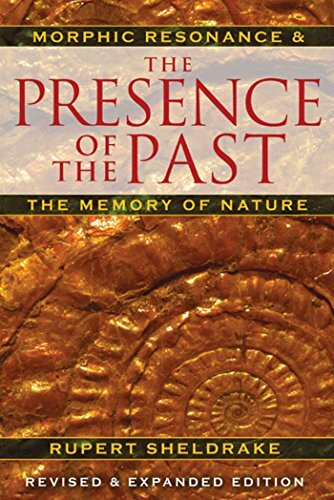 Rupert Sheldrake, The Presence of the Past: The Habits of Nature, Park Street Press, 1995. 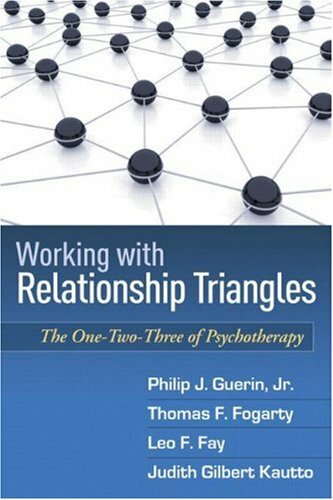 Guerin, Phillip J.; Fogarty, Thomas F.; Fay, Leo F.; Kautto, Judith Gilbert, Working with Relationship Triangles: The One-Two-Three of Psychotherapy, The Guilford Press, 1996. Triangles are the basic building blocks of emotional systems. Triangles are the circuits through which all humans connect with one another. This book is an in depth look into how triangles come into being, how they function and how one can differentiate oneself from the triangles in which they reside, that is to get triangles to work with you and not against your functioning. 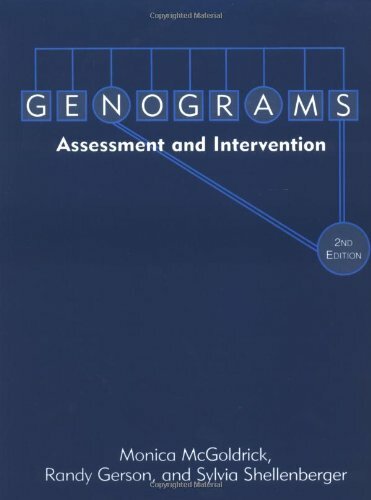 Monica McGoldrick and Randy Gerson, Genograms in Family Assessment, W. W. Norton and Co, 1985. Beginning with families, shows how to construct what I call “emotional maps” of the organizations we are a part of. 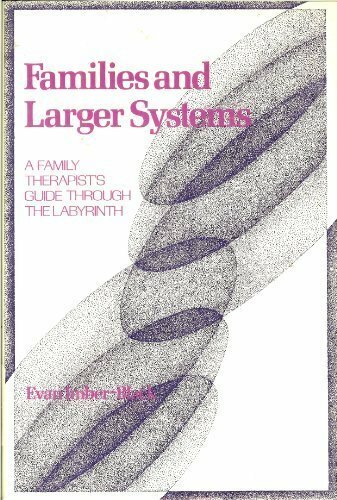 Imber-Black, Evan, Families and Larger Systems: A Family Therapist's Guide through the Labyrinth, The Guilford Press, 1988. Very helpful for those responsible for guiding others through the labyrinth of institutions from your local school to the DMV to social agencies, etc. 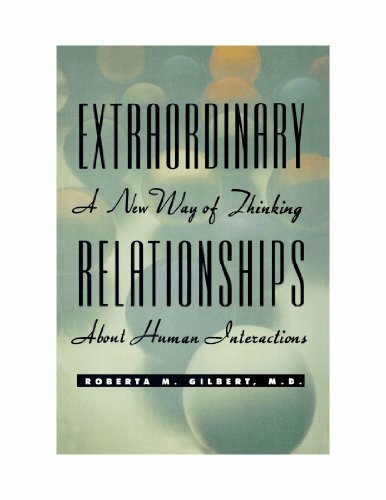 Roberta M. Gilbert, Extraordinary Relationships, John Wiley & Sons, Inc, 1992. Both of Roberta’s books are written especially for the layperson trying to make sense of their lives. 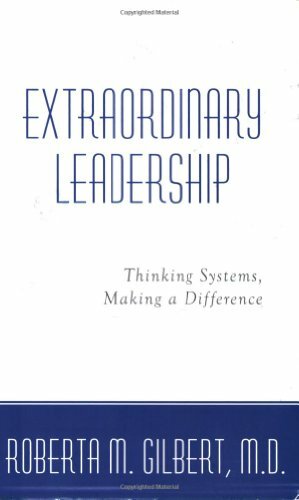 Roberta M. Gilbert, Extraordinary Leadership: Thinking Systems, Making A Difference, Leading Systems Press, 2006. 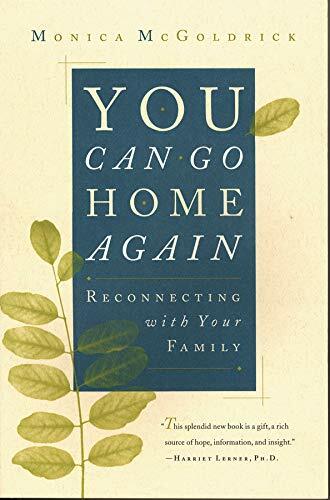 Monica McGoldrick, You Can Go Home Again: Reconnecting With Your Family, W. W. Norton and Co., 1995. A gift of hope and insight that will show readers the joys of and the way to reconnect with our past and invent a new future. In the process, you get to journey around and through the complex tapestries of famous families. 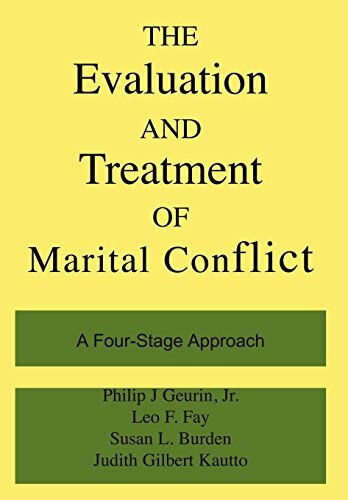 Guerin, Philip J., The Evaluation and Treatment of Marital Conflict, Basic Books, 1987. Dr. Ten Eyck’s description of the book and why he recommends it as a worthy book. 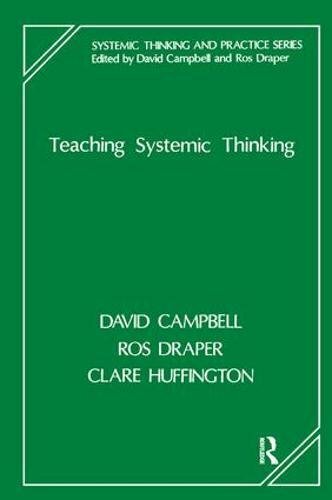 Campbell, David; Draper, Ross; Huffington, Clare, Teaching Systemic Thinking, Karnac Books, 1991.